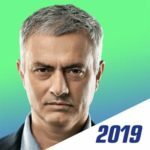 You may know Nordeus as the company behind the Top Eleven franchise, and indeed they are back with another installment in this popular series, as Top Eleven Soccer Manager 2019 (or simply Top Eleven 2019) is now available for iOS and Android devices. 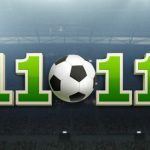 In this game, you shall be joining millions of other managers from around the world as you build and develop your club’s roster, train your players, and choose your lineups and formations in hopes of getting promoted from your current league to the next, until you make it to the very top — the Super League. Now this won’t be easy, considering the quality of players on your lineup at first, but if you work at it, you may be getting there faster than you had ever imagined. Just like all other previous iterations of Top Eleven, this new game isn’t a walk in the park in terms of difficulty. There are so many things you will need to remember in order to ensure you have the best chances of winning more matches and, ultimately, more championships. So read on and check out our Top Eleven 2019 beginner’s guide, where we shall look at eight particular tips, tricks, and pointers that you should keep in mind before you even play your first match. Sure, we’ll be getting to the actual matches later on, but you’ll need to get your team ready, and these tips will point you in the right direction. 1. 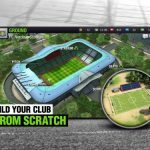 A Primer To Top Eleven 2019 – What’s In It For You? Those who have previously played Top Eleven titles, such as Top Eleven 2018, shouldn’t have much of a learning curve to deal with. But for those who haven’t played the game yet, Top Eleven 2019 is much like its predecessors, as you start out the game in a lower-tier league, with a ragtag bunch of unimpressive players, and it’s your job to improve your team and get promoted from league to league, winning championships, adding new players, and improving the ones you already have along the way. While it is possible to purchase uniforms of real-life association football clubs, everything is fictional here by default, and those uniforms are mainly for cosmetic purposes — if you don’t recognize anyone in your team, don’t worry, because you aren’t supposed to. All players are fictional, and are generally of the same nationality as the one you had chosen when filling out your managerial information. Now If you’ve played previous editions of Top Eleven, your old team will, technically, carry over from the old version to the new one, and so will your manager level, resources (with some “welcome back” bonuses), unlocked training drills, and most other stuff you may have purchased with in-game currency or real money. Your squad, however, will be reset with a new group of players, so don’t be surprised if you return to the game to see a roster full of new faces. One of Top Eleven 2019’s top selling points, just as it always has been, is the fact that you will be matching wits against other human managers and their clubs. This separates it from titles such as Football Manager, where you can simulate your favorite league’s season against AI managers, or New Star Manager, which features fictional players, but is likewise very PvE-oriented. This should be your game if you’re more interested in interacting with so-called “real players” instead of mastering an ultimately predictable AI when it comes to your opponents. If you’re used to football management games that allow you to choose stock formations and have the AI automatically select the best lineup for that formation, you may have a lot to unlearn when playing Top Eleven 2019. While there have been some subtle changes to the game’s UI in this area, the basic idea is still there — the game wants you to truly exercise your managerial muscle, instead of giving you the easy way out and letting you go through the motions. That means every lineup change and formation tweak needs to be done manually, even when you absolutely need to replace someone who is unavailable due to injury or sitting out due to a ban. While this might not seem like the most convenient approach to management, there are a few simple things to keep in mind that could help make things easier for you. Aside from prioritizing those players who have higher star ratings, you also need to refrain from starting anyone who may be too fatigued to be effective on the pitch. (That would mean players whose Conditioning bar is yellow, orange, or red — there should be no good reason for you to keep players on the pitch if they’re completely fatigued, or with red Conditioning.) It’s also important that you refrain from playing anyone out of position. Players who are out of position won’t be as effective, and oftentimes wouldn’t be happy about having to be put in such an unfamiliar situation. Again, it does indeed sound like a whole lot of work. But such is the Top Eleven series when it comes to in-game mechanics — the folks at Nordeus, we’d say, don’t believe in spoon-feeding virtual managers. Whenever starting up a game of Top Eleven 2019, you’ll always want to make sure you go to the Home menu (which can be selected by swiping right to pull up the left-side menu). Once there, scroll down a bit and go to the right side, where you’ll be able to check the latest updates from your Assistant. At first, you will likely be informed that you need to sign jersey or television deals — the former gives you a cash boost, while the latter allows you to earn tokens. You may also be informed if you have young players ready to be called up to the senior squad. On top of the Assistant Report screen, you’ll also be able to redeem daily gifts — that’s one free Treatment, Morale Booster, Rest, and Skill Boost per day. Lastly, the Assistant Report allows you to maintain your football complex in the Ground sub-menu — this means constructing new buildings or upgrading existing ones. The home menu may be exactly what it says on the label, but the Assistant Report is essentially ground zero when it comes to the maintenance of your club — those little things you need to do in order to ensure your club is run like a well-oiled machine. When choosing jersey or TV sponsorship deals, there are a few things to keep in mind. Mainly, with regard to TV deals, which are all monthly, you want to take into account how often you expect to be playing Top Eleven 2019. If you plan to manage your team on a daily basis, then you would probably be better off choosing the Extra for Dedication TV deal, as this allows you a maximum 35 tokens (the game’s premium currency) if you get all the daily login bonuses. Stable Income gives you one token a day guaranteed regardless whether you play or not (up to 28), Win Your Tokens gives you a maximum 30 tokens and rewards you with this currency as an incentive for winning league matches. Lastly, Quick Buck gives you 21 tokens right away — this is ideal for casual players who may only check their lineups 3-4 times a week at the most and want to improve their rosters sooner rather than later. When talking about jersey deals, this would again depend on your expected regularity of play. Super-casual or super-dedicated sorts alike would be better off with a daily contract (55k a day, 40 percent more on a monthly basis if you renew daily), while those in the super-casual group who also want an instant fund injection can choose the season contract (864k upfront). In the middle of these two are biweekly (605k every two weeks, 20 percent more and weekly (330k per week, 30 percent more) contracts. Regardless of your chosen sponsorship option, make sure you choose wisely, because you cannot undo your choice once it’s been submitted! This is especially worth noting if you prefer the Quick Buck/season contracts. See that “Preparation Level’ bar on the bottom of the upcoming match information in the Home menu? That would need to be at “Normal” or better before your next match, and the primary means for you to ensure your squad is well-prepared for an upcoming match is to go to the Training menu and choose players and drills. When selecting players, you can either select based on zone (or position, in other words) or select all, or manually select or unselect players as needed. After this, you’ll then have to choose the drills — drills can be for Attack, Defense, or Physical & Mental, and could range in intensity from Very Easy to Very Hard. Some drills may improve a certain attribute in particular, but in the end, what’s important is that you choose the drills in such a way that your players don’t get overly fatigued when everything’s said and done. Going too easy or going too intense won’t do any favors for your players, so strike the right balance — generally, you don’t want a Conditioning decrease of more than 12 percent for a full session of five drills. 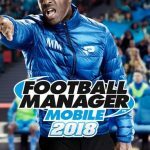 Depending on your manager level, you may be limited to a certain number of drills per session, while you can unlock new drills as you level up in the game, thus giving you more flexibility in the type of drills you have your players run in between matches. You’ll also want to mix things up from day to day, as having your players run the same type of drills from one day to the next might also turn out to be counterproductive! As we mentioned earlier, Top Eleven 2019 still does not come with stock formations. This might seem like a limitation to some managers, but then again, this gives you unlimited freedom to place your players anywhere on the field, albeit with the usual limitations — play someone out of their position at your own risk, of course! (Unless you’re low on available personnel, in which case you could make an emergency exception.) But which formation is the most effective in the game? As we said in last year’s Top Eleven 2018 guides, there’s no right or wrong answer to the above question. It would all depend on the strengths and weaknesses of your club at any given time. If your defenders are among the best players in the squad, then you’ll want to go defensive by going 5-4-1, or 5-2-2-1. But if you’ve got multiple strikers with high star ratings and high Shooting and Creativity, then you can line up two, or even three strikers up front. That’s what makes it important to review your squad before you play your first game — know your players, know which attributes they excel in, and plan your formation around what you’ve learned about them. Aside from choosing your own formation and setting your own starting 11, you’ll also need to choose which players you want to assign to set pieces — that’s corner kicks, free kicks, penalty kicks, as well as the team captain position. Once again, there’s no option to auto-select your set piece takers, so this is something you’ll need to do yourself. Under Formation, tap on the bottom-most button on the right side of the screen to choose your Set Pieces, and select away. If you’re in doubt, you can check your lineup and check the Spec category — this will show you if you’ve got players who are Corner Specialists or Free Kick Specialists. As far as penalty takers go, you can simply go with the players who have the best Shooting attributes, which you can find under Skills, then Attack on the player pages. As for the Team Captain set piece, we would suggest that you go with the best overall player in terms of Physical and Mental — unfortunately, there doesn’t appear to be any visible leadership attribute, so you’ll have to go through every player to determine who has the best Physical and Mental average, or is at least better than most of the rest of the team. For those who are new to the Top Eleven franchise, you may be wondering about the Treatments, Morale Boosters, and Rests we mentioned above — what are they, and how do you use them? Treatments, which are distinguished by the red-and-white cross logo, are self-explanatory; these are resources which you can use in order to shorten a player’s recovery time from injury. We would only recommend using them if one of your top players is injured on the day of a big match; like the other resources we will be discussing under this tip, Treatments could be hard to come around if you, so to say, have your players gobble them up like candy. Morale Boosters are used in order to improve a player’s flagging morale — a player could get demoralized if they’re injured, or if you aren’t featuring them regularly in your starting 11, among other reasons, though the most common reason would be a lack of playing time. Obviously, you can’t please everyone, but there may be times that a top player’s Morale could become Poor or worse if you bench him just once, and even if it’s with good reason (low Condition due to fatigue or injury recovery). Putting him back in the starting lineup won’t appease him immediately in most cases, and that’s where your Morale Boosters could come in handy. Lastly, Rests could instantly improve your players’ Condition if they’re too tired or fresh from injury. This allows you to “hire a specialist” in order to get your players’ energy levels back up, and likewise, we would only recommend using them on your top players. There’s little use applying a Treatment, Morale Booster, or Rest on someone who doesn’t play a key role in your squad, after all. Lastly, the game will inform you of three transfer players spotted by your assistant manager once you tap on Transfers in the left-side menu for the first time. We’ll be discussing the finer details of the Transfers menu in a subsequent Top Eleven 2019 guide, but for now, we’ll orient you on this particular first-time offer. You will notice that each of the three transfers has a specific price in terms of tokens commensurate to their market value in cash. The player on the left will typically be an affordable player (8 tokens) who isn’t old, but isn’t too young either, the player on the middle will be more expensive (around 20 tokens), while also being younger and more talented, while the player on the right will command a premium price in premium currency (around 50 tokens) and will be a “world-class” player most likely in his teens. Your choice of first transfer will all depend on how many tokens you plan to spend, but in most cases, you should be good with the left or middle player, as that should leave you with enough tokens to spend on other transfers, or for other purposes as you continue playing Top Eleven 2019. There you have it! This ends our beginner’s guide for Top Eleven 2019. Be sure to check back from time to time as we are planning to publish some advanced guides for the game soon!